Update your yacht with stunning marble or granite accents. StonePly ‘s natural stone products have many uses and applications. In fact, some of them are quite unique and surprising. One of these uses for natural stone is for yachts and cruise ships. Here’s why and how StonePly natural stone can be used for marine applications. As mansions of the sea, yachts offer beautiful décor and amenities that are sure to be enhanced by StonePly’s natural stone composite products, which combines thin sheets of natural stone with a lightweight aluminum honeycomb core. These composite stone panels have many advantages over large natural stone slabs in terms of reduced weight, with up to 80% lighter materials. Being lighter in weight means less weight load on your yacht as well, providing further benefits in terms of fuel consumption and overall maintenance. StonePly is lightweight and thin enough that it is very easy to carry onto your boat and install without any other construction. They also offer exceptional durability and flexural strength. This means that, even in the rough sea, these stone panels will not crack under pressure or force like solid natural stone tends to do. These composite stone panels are made of noncombustible materials, offering further durability. StonePly’s products are also low maintenance and easy to care for over the long term. 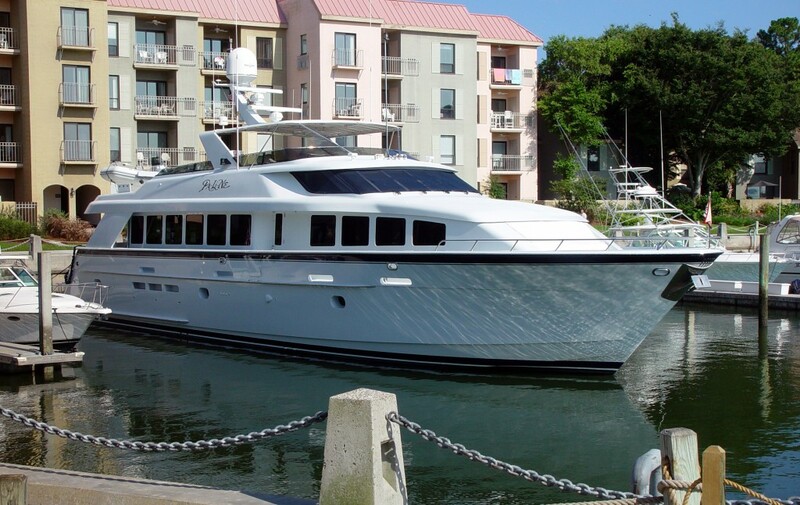 Installation is also easy and requires less manpower and time, saving money as well as providing an eco-friendly construction or remodeling option for your yacht project. Perfect for marine applications, StonePly’s composite stone panels are corrosion resistant as well as waterproof and salt spray resistant. StonePly’s materials are very versatile and can be used in many ways. For example, if using the composite stone for a sign on your yacht, you can choose to have it incorporated with stone panel wall cladding, or StonePly can be used as a backsplash on your wet bar, or flooring anywhere on your yacht. StonePly is known around the world for its high-quality, lightweight natural stone panels. Because StonePly has the world’s largest production capacity of stone panels, it can offer short lead times on projects to help you meet deadlines even if you have some high-volume requirements to fill. StonePly can create just about anything you can imagine for your yacht so you can enjoy a wide range of beautiful natural stone options to enhance its look. We offer free quotes so you can see what is possible as well as more information to help you decide on what works best for your marine application. Our team of experts can be reached at 903.454.4630 or by filling out our contact form.